Hello curvy & plus size sewing friends! 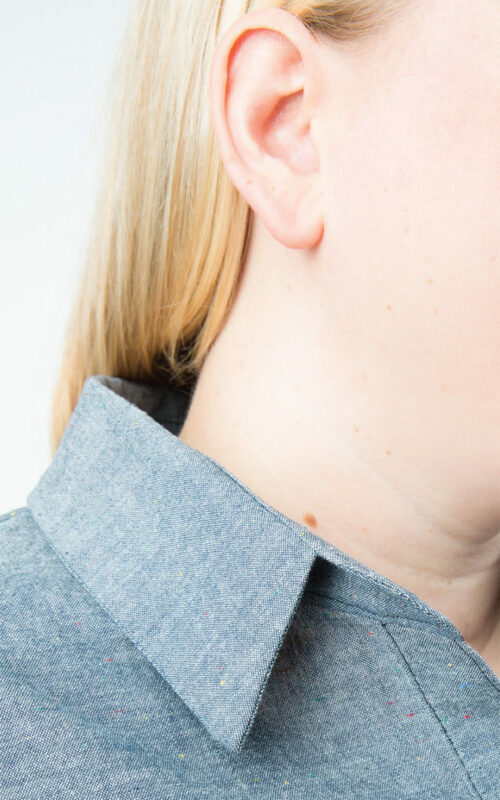 I wanted to write an update of our super popular “Guide to Plus Size Sewing Pattern Sizes” because quite a lot’s changed in the past few years, and it’s always good to know exactly what brands you’re going to fit into without major adjustments. While being plus size is totally average in the US and many other countries, sadly a lot of designers just don’t include us. 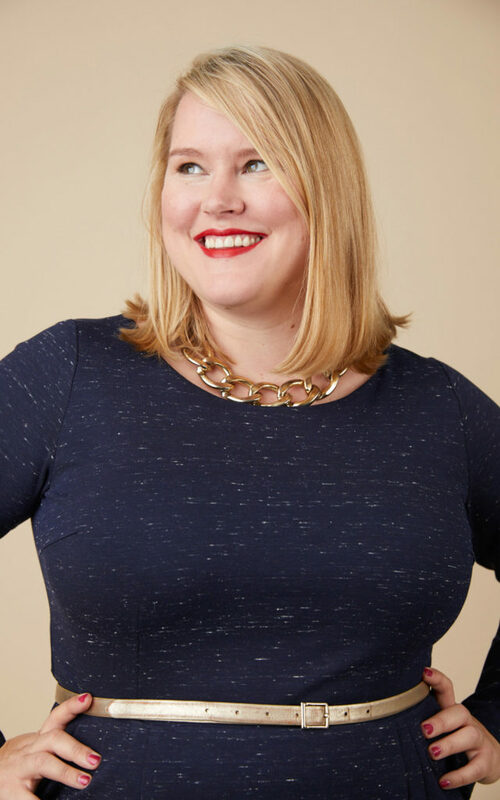 At Cashmerette Patterns we’re solely focused on making plus size women feel wonderful with patterns specifically designed for curves, but what if you want to try other brands? That’s why a handy guide is so helpful – instead of getting your hopes up and wasting time searching for size charts, I’ve done the work for you! I’ve listed the measurements rather than the largest “size” label, because it’s very inconsistent across brands. The measurement is what’s actually important! 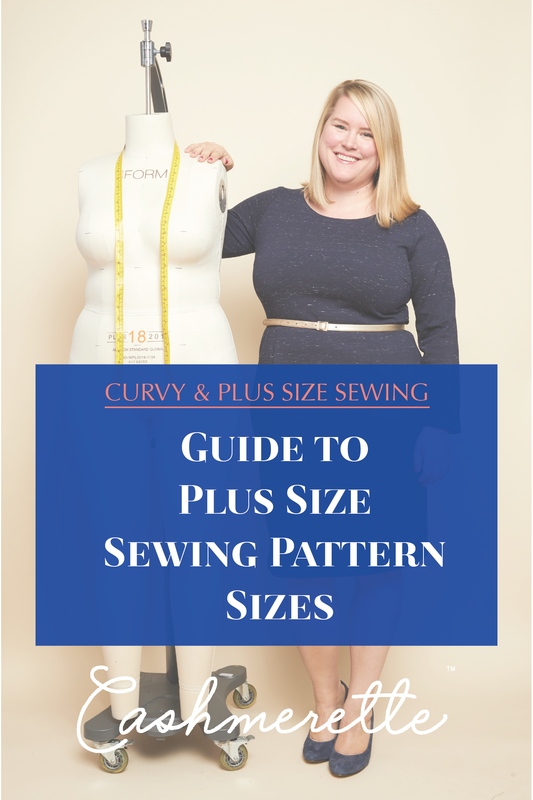 Do you know of any other great sewing companies that meet these criteria that we should add to our guide to plus size sewing pattern sizes, or need to update any of the data? Comment below and we’ll add them to the list! Another option that we haven’t tried ourselves but has been mentioned in the comments is Lekala and Bootstrap Fashion, which are sites where you enter your own measurements and get a custom pattern. Ellie and Mac patterns go up to a 57-60″ bust and a 60-63″ hip. And they’re nice and affordable. Paper Theory’s new Jumpsuit has quite inclusive sizing and is available in PDF! My understanding is that she’ll have other patterns in the extended range soon! A very helpful list. I am gradually learning to draft for my own shape. I learned a lot about drafting and fitting on Craftsy. A great full bust adjustment class by you included in my classes! That was something I didn’t know could be done so easily. I am tall and “big” so I find buying patterns very difficult. Tall and big. You might want to look at Vogue, Sandra Bettina Patterns. My sister is 6 feet tall and broad. We have had quite good luck for her. I don’t recommend any other Vogue Patterns. Kwik Sew’s plus size collection would meet the criteria, I think. Only problem is they NEVER come out with any new designs while their other size range is constantly adding styles. I guess they still have the “they ought to be grateful to have anything” attitude. How annoying. And they’re missing out! Thank you for this! I love your patterns and even bought the Concord t-shirt upon release, but sadly my hips are just too much. I seem to be on some sort of line, a lot of patterns are just shy of a 60″ hip so having a few places to go and find something that may have a chance of fitting is wonderful! I meant to submit my measurements since you’re looking at revising your own guidelines but I never got around to it. Thank you for the list. SBCC offers both print and digital patterns. Winter Wear Designs: all patterns go up to size 24/XXXL (bust size of 53″) but she has stated that all new patterns (2019 & beyond) will go up to size 30. There is already 1 really cute skirt out there! Annelaine Patterns is doing the exact same thing as WWD; they have a couple of patterns now that go up to size 30 & all new patterns will be 00-30. Size 30 has a bust size of 57 1/4″. New Horizon Designs includes up to size 26 (bust size 51.5″). Fit for Art patterns go to a 58 inch bust and 63 inch hip for their Tabula Rasa Jacket and to a 60 inch hip for their Eureka Pants that Fit pattern. The Jacket pattern includes pattern pieces for B, C, and D cups. Their Tabula Rasa Knit Tee and Tunic pattern has similar measurements. These are great basics with lots of add-ons for creative touches. The designers are currently working hard to test expansions to their sizing as well. I love the Fit For Art Patterns. Two other favorites that go to a 52 inch hip are Pamela’s Patterns and Cutting Line Designs. Both of these designers give extensive directions for fitting. I was altering a skirt pattern by Cutting Line last summer and was stumped on how to get the hem tilt corrected. I emailed Louise the designer and she gave me a genius suggestion on correcting it which worked perfectly. I went to a Cutting Line Designs and Sewing Workshop Sewing retreat in Florida several years ago. Both designers are hands on teachers. I remember Louise saying she had helped a woman with a 68” hip get a well fitting pair of pants. She usually works with her One Seam Pants which I have had very good luck with. Both pattern lines are some of my favourites. I find for me that the Sewing Workshop Patterns fit my top half well. I am smaller on top. Fantastic! 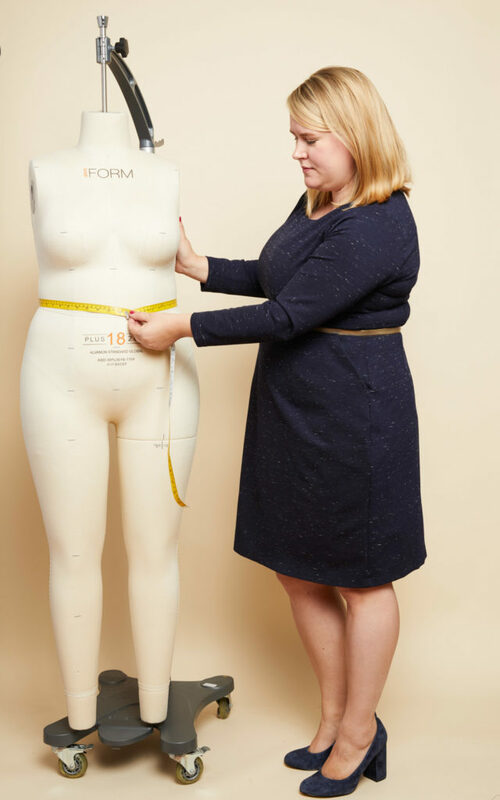 I have recently discovered Laela Jeyne Patterns, she has a small selection but she goes up to a 56″ bust with cup sizes A-E. She herself is quite curvy so her patterns are designed for curves rather than just graded up. I recently purchased her PJs pattern which I haven’t sewn up yet, so I can’t yet speak to the quality of the patterns, but I am very hopeful. All PDF patterns, I think. Silhouette Patterns (Peggy Sagers) do up to a 52″ bust with b , c, and d cup and have amazing videos. Patterns only available in printed but you get all sizes and cup sizes in one envelope. There are a few Sewing Workshop patterns which meet your criteria. 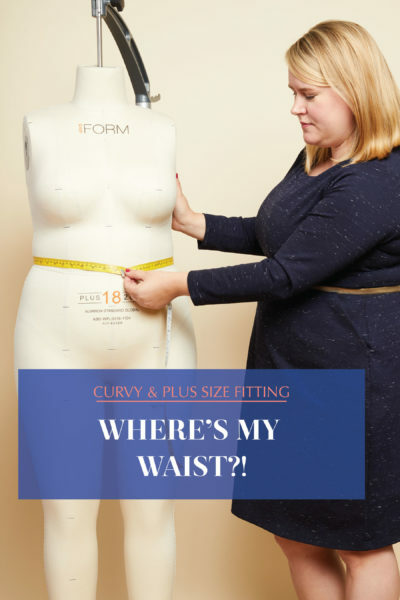 There are others which are more fitted through the shoulders but quite loose through the hips and would therefore work for hip measurements greater than 50 inches. You’re missing Stitch Upon a Time! I recently ran across a new to me like at https://sewdifferent.co.uk. They sell world wide pdf and print patterns. Up to size 22 USA. Haven’t tried them but I like some of their styles. Dana Marie Design Co. also makes a wide variety of sizes. They are simple and straight forward to sew too. Finally the majority of this country’s women can find a pattern that they can fit into without having to be able to make it 10 sizes bigger. That and they aren’t tents which is what plus size women have been stuck with forever. I used to buy rtw from Saks Fifth Avenue when they still had Salon Z, their plus sizes. Now they only have plus sizes on line. I never felt like I was different. It was on the same floor as all of the other sizes, unlike Bloomingdales which had them in the basement between rugs and housewares. Way to feel good about yourself, no? I hadn’t bought rtw in years except for the occasional piece. I pretty much make all of my own clothing because I can fit myself better than rtw., I can make clothing more stylish, better made and for a price I can actually afford. I had no idea that there were that many Indie patterns that are size inclusive. Brava! Thanks for the list. I took a Dana Marie design class last fall. Love her patterns. She showed me how to tweak a bust, shoulder, sleeve problem that is part of my personal make up. I was going to mention Stitch Upon a Time, but I see that two others have already mentioned them, so I’ll just add how awesome their underwear pattern is! Hey Jenny. Thaks for including Designer Stitch but a small amendment. How about Bootstrap patterns (bootstrapfashion.com) where you enter your measurements and get a pdf pattern–many styles to choose from! I looked at Lekala. They have a fair number of free patterns so I ordered one to try. Who knew there were so many pattern companies out there! I like the list, and I’d like to see Greenstyle Creations added to this list; Their recent patterns have a bust of 46-47″ and a hip of 48-50″ – I love all their athletic designs. Marilla Walker and some of the recent Decades of Style patterns meet the criteria! Thank you! This list is so helpful. MacPhee Workshop has some patterns that include plus sizes. http://www.macpheeworkshop.com This company specializes in serious outerwear patterns, fabrics and notions. The styles tend to be classic. I have found the instructions to be pretty thorough. I like the designs on macphee workshop. Thanks for the tip! I’ve only made your Concord T so far but it was amazing (I only started sewing in January). I don’t think I’ve ever had a top that actually fit before which brings me to my problem. I’m a UK J/JJ cup (which is M/N in the US I believe), but otherwise I’m a size 12 and shrinking. I’ll be a 10 soon (my hips already are) and then I’ll fall off your chart! The reason I want to sew is to accommodate my enormous bosom and apple belly but they seem to be precisely the two least catered-for shapes. I’d love to try the Ellis skirt but I’ve shrunk out of it before getting the chance! Learning to sew and learning to re-draft patterns all at the same time is a bit overwhelming. Please, please, please is there any chance you could extend your brilliant range at the lower end so I can continue to enjoy your fabulous patterns?